Leading Luxury Villa rental company, Exceptional Villas is one of the fastest online luxury vacation rentals companies in the world. They have experienced a massive 556% year on year increase in Organic Traffic to their site. The company is also the #1 ranked "villa specialists" on Google which is a huge win for the European based company. They are also ranked in the top #3 for many of the luxury villa keywords such as Barbados , Turks and Caicos , Antigua and Caicos. The company which is also considered to be one of the world's most trusted villa rental companies with a trust score of 9.8 on Trust Pilot is predicting a 30% growth in revenue for 2019. Despite the fact that other online booking sites are growing exponentially, Exceptional Villas are experiencing unprecedented growth in both forward bookings and in enquiries at the luxury end of the market. Typically, high-end luxury vacation rentals are booked 6 to 9 months out. 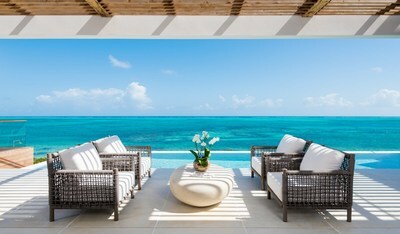 Exceptional Villas has just entered their busy booking season for winter breaks in the Caribbean. The 30% growth prediction for 2019 is based on actual forward bookings and enquiries when compared with the same time last year. The company which is also considered to be one of the world's most trusted villa rental experts have put Trust into Travel. Their villa experts will tell you the good and the bad about each property. They will weigh up the pros and the cons and provide an unbiased and independent evaluation of each of the vacation rentals they represent. All of their properties are personally inspected, and unlike other vacation rentals companies, they have experts for each of their markets, and therefore clients get to speak to the person who has actually visited the various properties and knows them well and not just a call centre. The other important factor in the company's growth is the provision of a full and complimentary concierge service. When it comes to luxury travel, there is a current trend towards multi-generational bookings which can be quite complex with multiple villas and special requests. The automated companies are just not set up for these types of bookings and technology is being left on the table. Owner and CEO of Exceptional Villas Alexandra Baradi said, "High net worth clients do not want to book their vacation property online. They want to speak with an expert and ensure they get both, the best property for their needs and also the best value. It's about people and not machines when it comes to the super-luxury market." Exceptional Villas is part of Dream World Travel Ltd; A European based vacation Rental Company with clients and destinations all over the world. They have been in the travel business for over 25 years and offer a unique bespoke service to their clients. This includes matching the perfect villa for each client and also providing a full and complimentary concierge service. This service includes all aspects of the client's vacations such as VIP airport arrival, ground transportation, restaurant reservations, tours and excursions, water sports and pre-arrival stocking. Unlike some of their competitors, they do not provide a membership fee. Likewise, their villa experts are indeed experts. They visit every single villa and are filled with a wealth of information regarding each villa, as well as each destination. Exceptional Villas take total pride in the customised service they offer.